The materials in this double set cover a variety of topics geared for a wide age range and interest level. 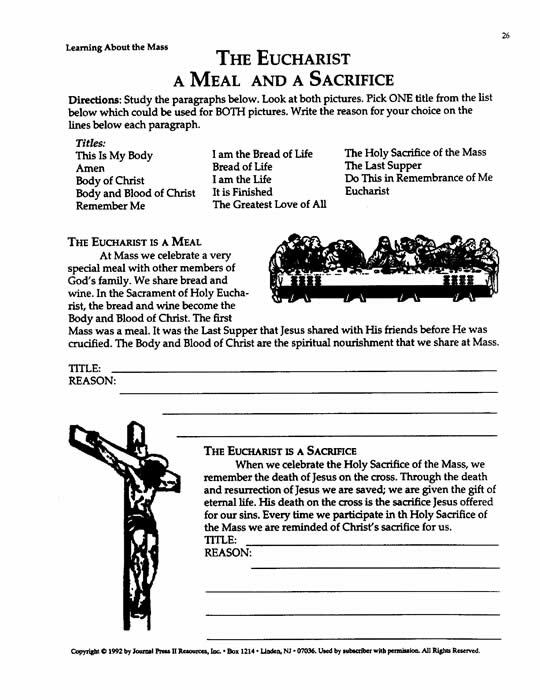 Learning about the Mass includes resources for elementary and junior high students, and some material can be easily adapted for use in the Catechumenate. 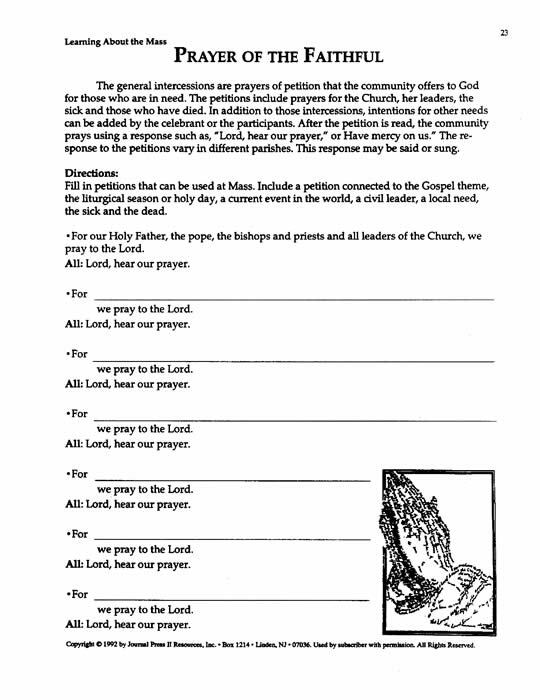 In addition to activity sheets, puzzles, learning aids and a helpful Glossary of Terms, this MasterSet includes a detailed outline of the Mass and liturgy planning sheets. 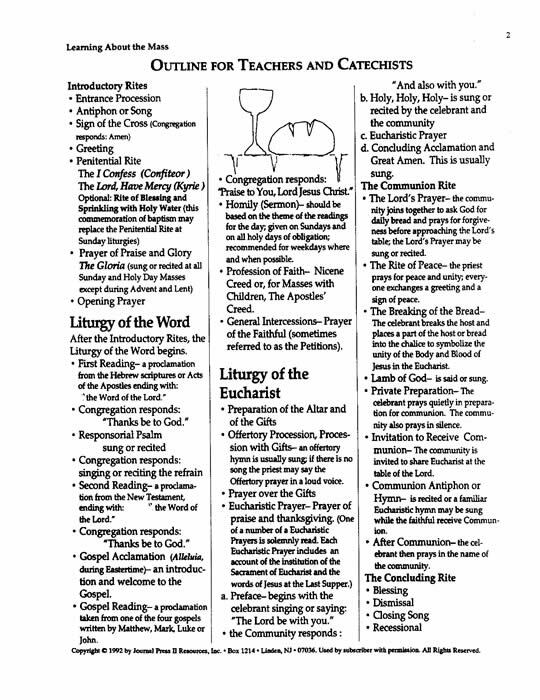 Sections of this MasterSet can be used to introduce the Mass to those unfamiliar with the Catholic Eucharistic celebration; other parts offer an excellent review for those who have a basic understanding of the Eucharist. 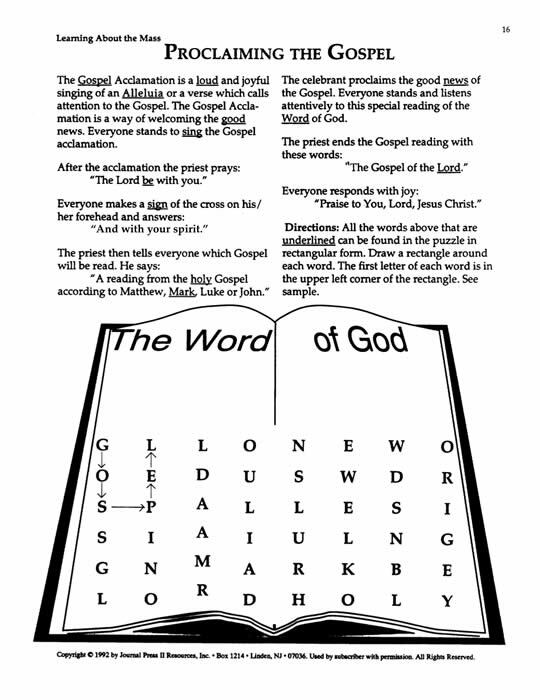 Your purchase (below) will enable the placement of the complete 55 page Double Master Set PDF (2.2MB) on your computer. You will receive an e-mail to enable your immediate download of Learning About the Mass.